Battery Joe is dedicated to keeping your devices up and running. 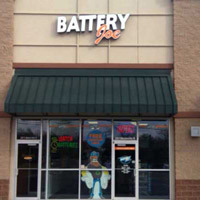 Whether you need a replacement battery for your vehicle, watch or other gadget, the knowledgeable staff at Battery Joe can find the best fit for you. Battery Joe also specializes in screen repairs for phones and tablets, making it a one-stop shop for any of your device-powering needs. Come by one of our 2 convenient locations in Amarillo and get all your battery questions answered by our experts here at Battery Joe! How healthy is your car battery? The experts at Battery Joe can test and assess the performance and health of your current car’s battery, allowing you to plan for a replacement instead of finding out to late. Stranded? Don’t panic! 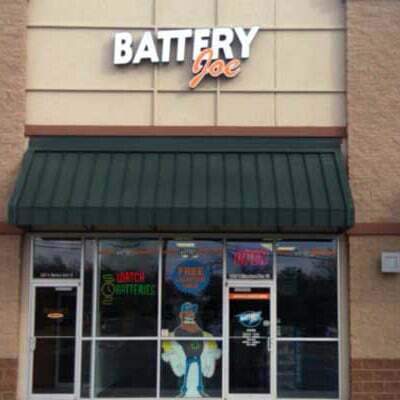 Battery Joe also offers free jumpstarts for those who may not have taken advantage of our performance test service in time to avoid a dead battery! Replace your old car battery with one from our line of Evermax car batteries and enjoy free installation and a replacement warranty. Almost every iPhone owner has experienced one of those heartbreaking moments when we pick up our phone after an accidental drop only to realize that the screen is shattered. Fortunately, Battery Joe has two convenient locations in Amarillo to soften the blow, making it a quick an easy fix. Battery Joe knows iPhone repair. Battery Joe has you covered even if you are not an iPhone user! From brick phones to flip phones, Samsung to Android, Battery Joe has the tools and experience to get your life back to normal by getting your phone fixed and working like new. After owning the same phone for a year or two, it’s pretty obvious it just doesn’t hold a charge like it used to. Find yourself constantly hunting down an outlet or power cord? Unleash yourself by simply replacing your cell phone battery at Battery Joe! 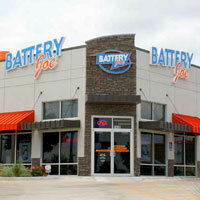 Golf carts, motorcycles, RVs and ATVs are all welcome customers at Battery Joe! Battery Joe in Amarillo has a team of experts who can help you choose and install the best battery for any and all of your powersport vehicles!